RPS bill just a starting point for strong climate action; Bill for a strong and equitable carbon fee policy expected to be introduced on June 5. WASHINGTON, DC — This week, D.C. Council Chairman Phil Mendelson introduced a bill to expand D.C.’s renewable energy requirement to 100% by 2050. The bill expands on an existing Renewable Portfolio Standard, which calls for 50% of electricity in the District to be sourced by renewable energy by 2032. In response, the 70-member “Put A Price On It D.C.” coalition delivered a letter expressing disappointment that Chairman Mendelson failed to consult leading environmental advocates in the District. The coalition has been urging the Council to introduce a more ambitious and timely carbon “fee-and-rebate” policy, which would put a fee on fossil fuel energy and re-invest the revenue into the D.C. community with rebates to residents and strategic investments in clean energy solutions. We stand united in our call for a fair, meaningful and steadily rising carbon fee, rebate, and investment solution that will equitably achieve DC’s greenhouse gas emissions goals. As you know, we are ready to negotiate on the specifics of carbon pricing legislation. And as you know from conversations with advocates over the past two weeks, the 100% clean energy goal can readily be achieved in coordination with the carbon pricing approach already under development. The coalition calls on Chairman Mendelson to enter “a direct conversation” as a next step in melding the RPS bill with the carbon pricing proposal. That Chairman Phil Mendelson has proposed an expansion of the renewable energy standard to 100% by 2050 should be applauded, but it should not distract from the urgent need to implement a stronger climate policy right now. This RPS bill needs to be seen in the context of DC’s existing policy framework and the long-standing priorities of advocates and subject matter experts in the area. Mayor Muriel Bowser’s “Sustainable D.C.” plan includes the urgent goal to reduce carbon emissions 50% by 2032. However, D.C. is not on track to meet its goals by 2032, and this bill does nothing to close the gap — it would not go into effect until 2033. This could create a delay in the city’s efforts to address the urgent challenge of climate change. Further, the renewable portfolio expansion bill does not include anything to protect D.C. residents in the transition to clean energy. A carbon fee-and-rebate policy provides an equitable solution to the climate crisis, and it would work to drive the decarbonization that Chairperson Mendelson and Councilmember Cheh clearly seek—but only if the DC Council passes it first. 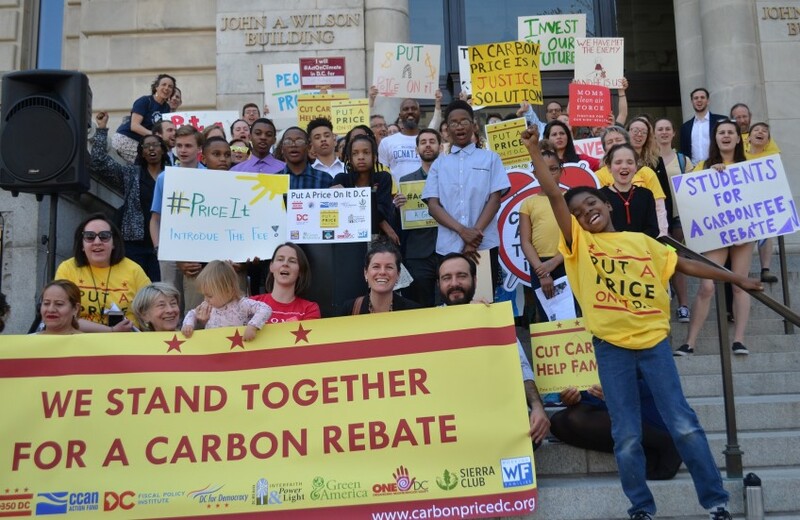 After three years of intense scrutiny, climate and economic experts have determined that a carbon fee-and-rebate policy would be the strongest and most comprehensive approach to addressing climate change in the District in an equitable manner. The renewable portfolio expansion bill, if it is enacted separately from a comprehensive carbon pricing approach, is only a small part of the package and may at this point only serve as a distraction to equitably meeting DC’s targets. We look forward to working with the D.C. Council on the carbon fee bill with our strong coalition when it is introduced on June 5, as Councilmember Mary Cheh has proposed. 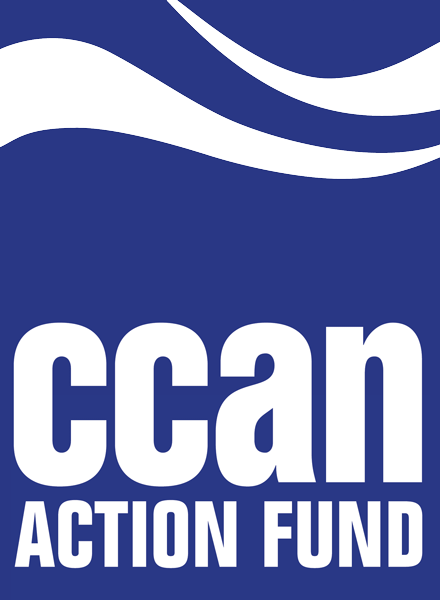 The “Put A Price On It, D.C.” coalition is comprised of more than 70 climate and justice advocacy organizations, including more than a dozen local businesses.